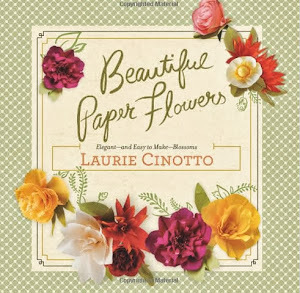 laurie cinotto art + craft: Today's the Day! Come on by!! Today's the Day! Come on by!! Last night we all set up our tables at the Martha Stewart Holiday Craft Sale. Oh, my. There are some amazing crafters there. And Martha herself was there too, and she stopped by my table! EEEEEK!!! I hope you all are coming down today because it's going to be an AWESOME show. I've got lots of photos to share, but no time to upload them today. I'll post them once the show is done. You can see a few pictures from the sale on the Crafts Dept Blog, and get details on the show too by clicking HERE. OK,, I'm off to the show! Hope to see you there! I'm so happy and excited and proud for you. I hope it is an awesome experience!!! I was at the craft show; your stuff was absolutely beautiful! I bought one of your pins! I hope that you'll be there next year! I tried coming by but the lines were extending a good half the block and I couldn't wait. I hope it went well! 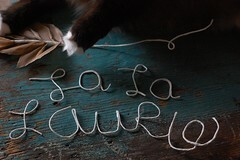 I stumbled upon your blog while googling the craft sale... and I'm so pleased I found your site! Your crafts are beautiful. 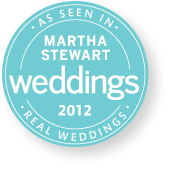 Can't wait to see the martha stewart the pictures. (I love kitties too). I braved the lines into the show and it was worth it to MEET YOU. Loved the pins, wore my teal one on Sunday and got anumber of compliments. Thank you for sharing this blog & the Itty Bitty blog. I just found your blog via Vintage by Crystal. Love your beautiful creations -- I'm a new follower. Hana, thanks for coming by and purchasing a pin! I hope to be there next year too! Anon, I know, they were very long at first, but got shorter towards the end of the day. Sam,, it was very nice meeting you! Your ornaments are fun to look at- made me smile. Hope your sale went well. DIY: Make A Paper Disco Ball! One Sale Left this Season... and it's Saturday!